Chain Aye Na to premiere on Amazon Prime! Chain Aye Na upon its release received loads and loads of criticism. Because of the horrendous quality of the film and the cheesy and explicit romance it portrayed, the comeback venture of Syed Noor wasn’t able to do much. 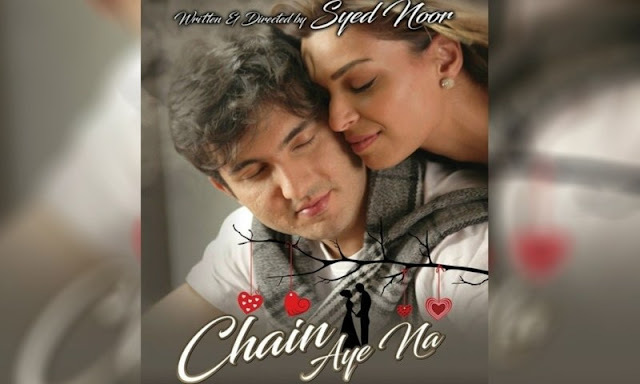 Chain Aye Na featured Shahroz Sabzwari, Adil Murad and Shahroz Sabzwari in the lead roles and depicted a love story of a young guy who is love with a girl who is already committed to someone; a cliched love triangle, that was executed rather raw. However, despite the reception it had on the box office, the film is now all set to make its digital premiere on Amazon Prime and Shahroz is pretty hopeful about it. Although the actor referred to Chain Aye Na as a learning experience in a previous chat with HIP, its good to see an actor stand by his film. The news was shared by Shahroz in an Instagram where he thanked for all the support as well as the criticism he had received from all.